Made from tough Dacron, BIC Sport Sails are well reinforced and super hard wearing, great for intensive use. 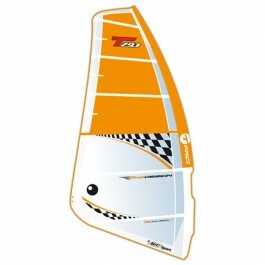 Really performs in light to moderate winds. Its modern design gives it a wide wind range despite the absence of cambers. With plenty of sail area down low, it’s got plenty of power to get you up and planning easily, with a smooth and steady pull allowing you to get into the harness and footstraps comfortably. With no cams it is easy to manoeuvre during gybes, tacks and tricks. With its soft response it is easy to control and simply fun to ride. Ideal for all our freeride boards and for making your first runs. Delivered in a very practical sail bag that includes additional pockets for storing the mast and the mast base, and the possibility to attach the boom so that it can be carried «all in one». 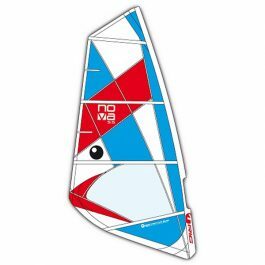 The Nova sail is the ideal choice for “leisure” sailing on relatively flat water. It has been designed with pure simplicity and durability in mind, and is ideally suited to our Nova range of boards. The sail is made from tough Dacron, is well reinforced and super hard wearing, great for intensive use. – A huge wind range: from 6 to 30 knots. By tuning the downhaul and outhaul, the sail can be rigged either very full with a tight leech, or very flat with an open leech. – A draft placement at approx. 40% from the front of the sail (freeride sails = 30% / sub-planing sails = 50%), offering the best compromise between lightwind performance and high wind control. 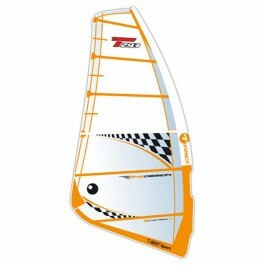 – 6 batten / 2 cam configuration for the best compromise between weight and performance. 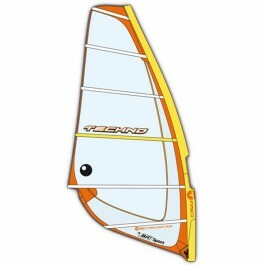 – A very stable profile for ease of use and control in the high winds. – A tack strap tensioner for maximum tuning range and power in light winds. – X-Ply reinforcements in critical areas, durable luff pocket material and webbing batten tensioners for ease of use and practicality in a club and racing environment. Though you may not win every race in all wind conditions, the goal of the One Design sails is to make sure that you have the tools to win the regatta!